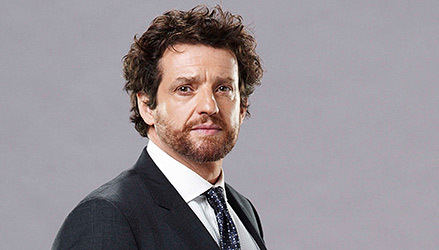 Louis Ferreira spent part of his career appearing as Justin Louis, which only adds to the low level of general confusion about this highly talented actor. 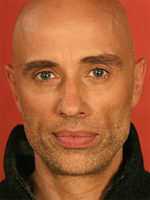 For example, some websites say he was born in the Azores, but others say he was born in Canada to Portugese parents. 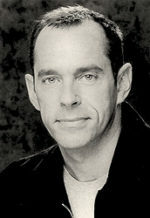 Regardless of where he started out, he began his acting career in Canada and moved from Toronto to Los Angeles in 1995 and then back to Toronto. 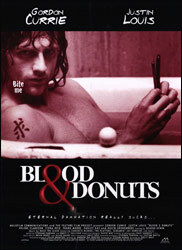 His work in Blood & Donuts has been described as “quirky funny, with his kinetic mannerisms and weird accent that suggests Bela Lugosi playing Robert DeNiro playing Travis Bickle in Taxi Driver.” The film’s director, Holly Dale also co-directed the series, Durham County which costarred Hugh Dillon and Justin Louis / Louis Ferreira. He is pictured above as Detective Oscar Vega in a still from the CTV series, Motive.